Havells is an electrical equipment manufacturer whose range of products include domestic appliances like lamps, fans, and electrical equipment for industrial applications. 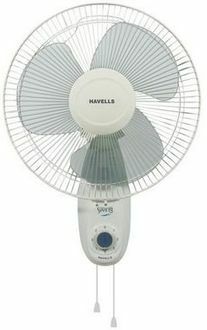 Havells fans for homes include Wall Fans. 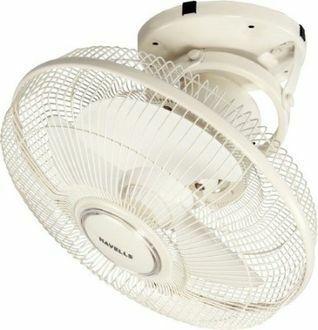 Havells wall fans are fans that can be mounted on the wall, away from clutter. These are small and compact, and can be unmounted from a wall and fixed in another room in the house. 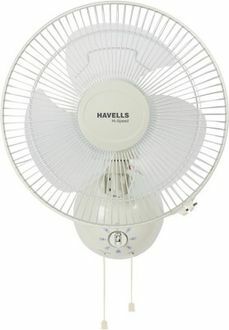 Havells fans are powerful and provide adequate cooling in the summer at close range. 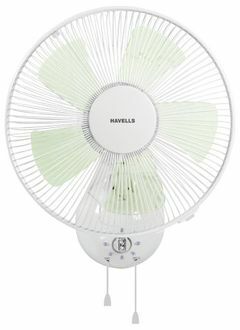 23 Havells wall fans in this Havells wall fans price list can be used at home or in the office for superior room cooling purposes. 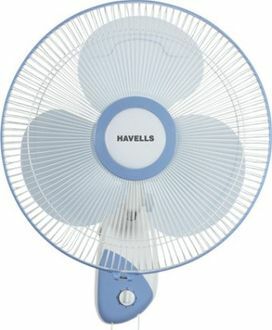 These Havells fans are listed at their lowest selling price in India from offline and online sellers from across major cities. 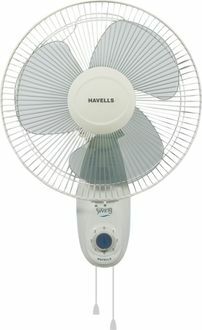 Havells fans prices are updated every day. 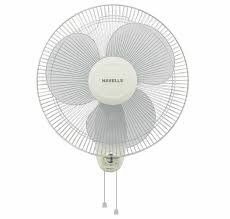 Havells fan prices in this Havells fan prices were most recently modified today, on 23rd April 2019.